The secret stairs bookcase was clever and beautiful. This climbing library is clever and beautiful and comfy. 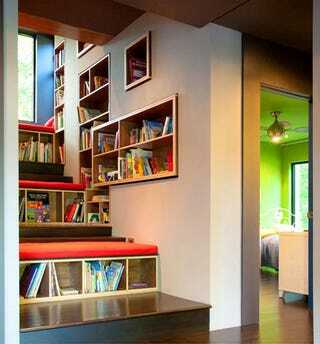 Like the stair bookcase, you can go up and down, but you can also use it to lay down and read comfortably. See that red cube sticking out of the wall? That's the library.